but I can't, I'm so tired"
"I always felt like a girl. I was lying for so long. I'm happy now (that I transitioned and begun medical treatment) but it's so hard. I need to do this for all the others out there." These are part of a script that most trans people learn in one way or another. It may very well all be true and sincerely expressed, but saying these words or some variation on it are a part of the initiation into public life as a trans person. The public demands to know about your past as a trans person. Even if they never met you before you transitioned, they still ache to hear the Story. Personal details add spice, but the narrative demands of doctors, lawyers, school-systems, insurance companies, the media, friends, family & strangers have become intolerably standardized and compulsory. To be regarded as Trans is to be a kind of story-teller. Why trans life-histories are demanded are fairly easy to parse out. Changing your body and identity threatens the immutable status of gender, and increasingly sexuality as well. The public needs to have affirmed that if appearances were ever deceiving, the reality and trajectory of the trans people's life must be deterministic. They must always already be their gender - and this must be made clear to everyone. Far from simply demanding the firming up of an essentialized gender category, there is also a critical danger towards the nature of able-bodied development. Problems must be fixed. Dis-cordances in the body must be brought in line. There must be a Restoration Narrative if Trans-people are going to be accepted into fold of ableist gender norms. Crip children are regarded as an intolerable tragedy. But there is a price for having transgressed these norms: the Compulsory Narrative of Transgender must not simply be Essential and Restorative, it must also be a Failure. Someone has to pay for the fact that this group was not a part of the fold to begin with, the dangers of emerging as a new protected minority must be expressed, our fears (even or especially of the sympathetic) must be justified. We need struggle. The recent news of Miss Cassidy Lynn Campbell's crowning as the 2013 Homecoming Queen at Marina High School in Huntington Beach California was lauded momentarily for being (perhaps, it is speculated) the first election of a transgender person to a Homecoming Court at a public school. A social and literary critic's job is to not simply look at the content, but at the words and framing of the discussion. The very emphasis on "first" should be a sign that Ms. Campbell's life is being positioned in a narrative of progress. 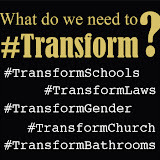 News outlets (such as MSN), Blogs (such as I Should be Laughing), and TV Stations (such as WSB-TV Atlanta) announce in their headlines and analysis the place in foreseen history of Transgender Progress. But even before that news broke nationally, the process stories had already drummed up a more tantalizing, and socially safe narrative: the public bullying of the trans teenager, largely by adult professional and political groups in the media, and her inevitable suffering. The result was almost systematic. Within a day of being crowned, Ms. Campbell recorded a video on Youtube affirming her Essentializing, Restorative narrative and its inevitable Failure. Let me be clear, I have every belief in the sincerity and even confidence in the truth of Campbell's words. What I object to and where the Artifice lies is in the public and in the media for being so hungry for it that the developing coverage almost assured that Campbell would experience (at the tender age of 16) a systematic sacrifice on the altar of social progress. Pro-Trans, Anti-Trans, or just Neutrally Interested, Ms. Campbell is being made an example for others. Whether as the boundary marker on the road to a wider integration into the norm and/or as a warning to those who buck the system and/or as the "inevitable" result of doing anything that will get you noticed, the media is setting up (and contextually excusing) the bullying of this teenager with the silent implication that she was "asking for it". I have every hope and cautious confidence that Ms. Campbell, after her plea that she is "so tired" and can't keep a brave face on for "all the kids, all the people I did this for," will find her strength and grace to press on through the harassment and abuse she is receiving publicly right now. She is and can be a role-model and her life, and her narratives, however forced, can have a positive impact. What makes me less hopeful is the media feeding frenzy around the story. Granted, most coverage isn't going anywhere near to stating overtly the compulsory Martyring of Campbell as part of their narrative of social change and acceptance. The media says enough simply by framing and distributing the events in a particular way which emphasizes the failures as a kind of correlative to the success of having a trans Homecoming Queen. In the process the particularities which make Campbell's life and her community so special are silenced and pushed into the background of a larger symbolic event. This process is disgusting and exploitative on adults, but when we rail-road the life of a 16 year old towards the genre of tragic heroism, we should be shaken enough to look around at the very premise of the public drama. Of course anyone paying even begrudging attention to past and current headlines about Justin Bieber or Miley Cyrus, we can see that adults professionally and recreationally make stalking, judging, gossiping and throwing abusing language around teens and other young adults the activity of their daily lives. In past posts I've discussed the "Professionally Trans," i.e. people willing to publicly and even systematically engage in public discourse around their bodies and communities, but there too I warned that we need to be able and willing to turn our mega/micro-phones off and leave people to their lives. Bullying in the media and public discourse is responsible for seeing many acclaimed people of privilege and means to painful and short-lives, and in the case of people many times over within vulnerable and marginalized social positions, the offense is even greater. It is not enough that the media must be able to tell stories, they need to have a sense of responsibility, culpability for the frenzies they inspire and enough respect for their subjects to know when to call off the coverage. The lady is tired. Let her rest. talk about the past, sir.